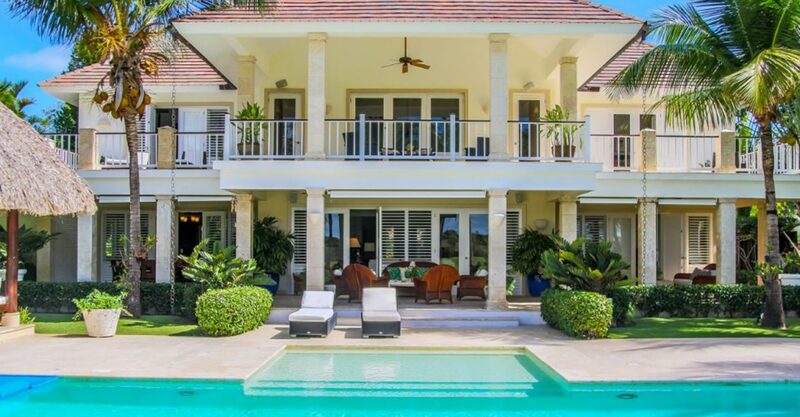 5 bedroom villa for sale in Punta Cana, Dominican Republic within the coveted Tortuga Bay enclave with beautiful views of the golf course. 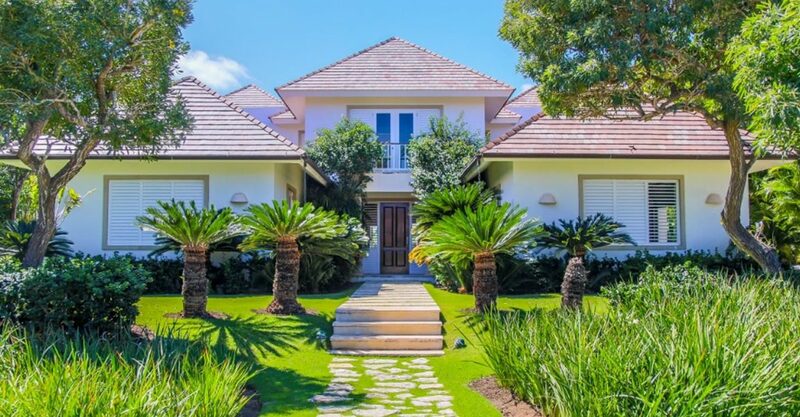 This beautiful villa is located within the coveted Tortuga Bay enclave in the exclusive beach and golf community of Punta Cana in the Dominican Republic. 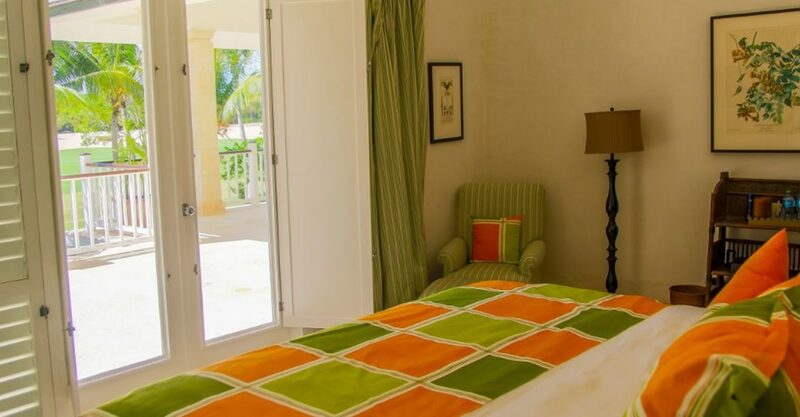 Set in lushly landscaped gardens with a large pool and pool-side gazebo, the villa offers beautiful views across the golf course and is just a short walk from the beach. 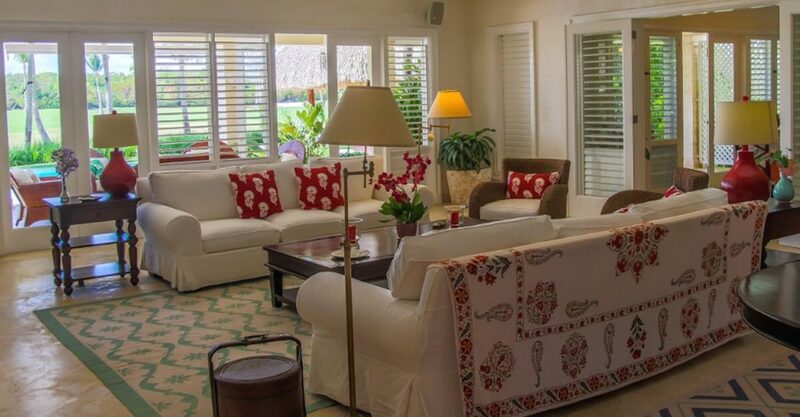 The interior offers a total of 8,800 square feet of beautifully decorated living space. It features double height ceilings which provide a sense of space and grandeur. 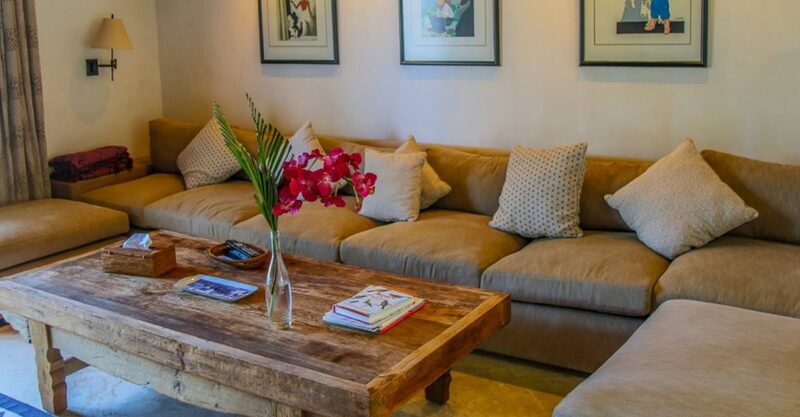 An elegant living room, dining room, family room, large kitchen and plenty of outdoor sitting and dining space make the villa perfect for relaxing with family or entertaining friends. 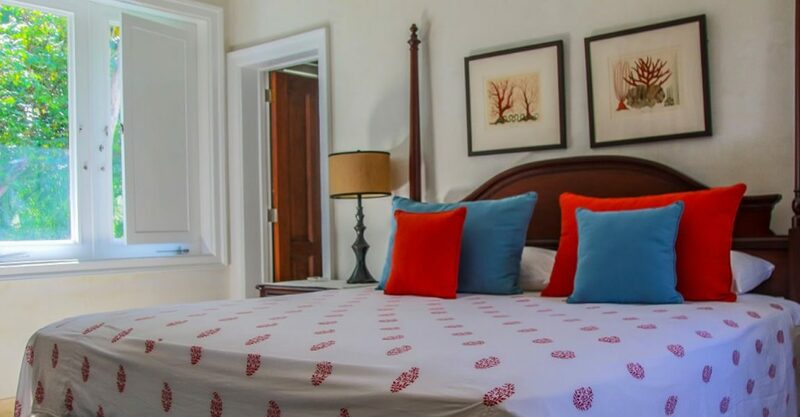 The villa features a total of 5 comfortable bedrooms and 6 bathrooms, including a master suite with walk in closet. 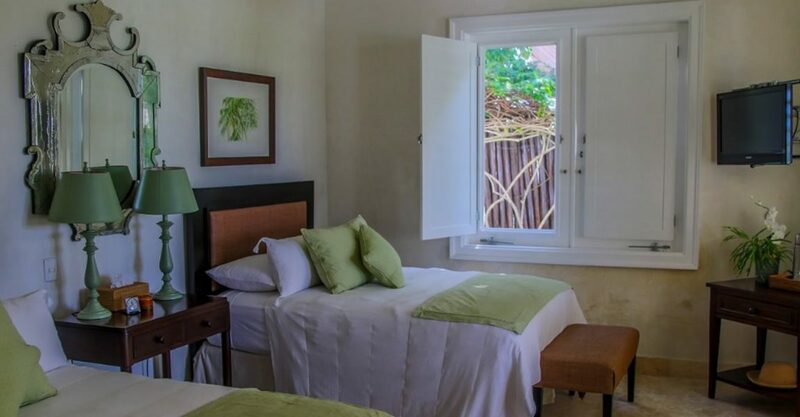 The villa also include a study, staff area and washing area. 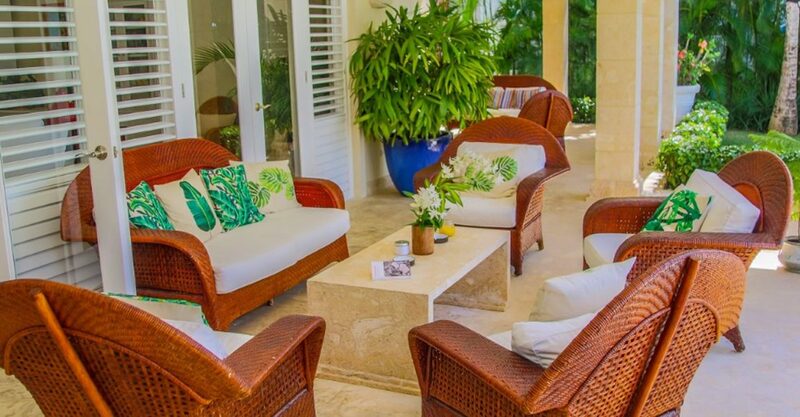 This villa is located in Punta Cana, one of the most sophisticated master-planned communities Dominican Republic. Punta Cana boasts long beaches, a marina, Six Senses spa, and several high quality hotels, restaurants and shops. For golfers there are several golf courses including an 18-hole Tom Fazio-designed championship golf course with 6 holes on the water’s edge and a 27-hole P.B. Dye-designed championship golf course with 4 holes on the Caribbean Sea. 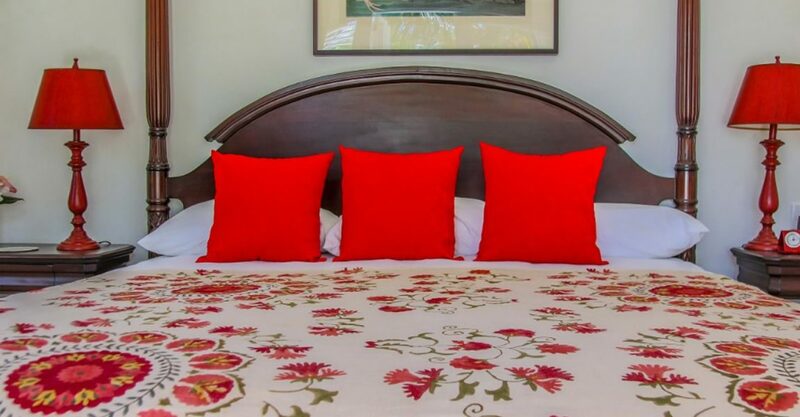 A wide variety of water sports including scuba, snorkeling, kite boarding, paddle boarding, kayaking and deep sea fishing is also available, as well as horseback riding and tennis on 6 courts at a professional tennis center. 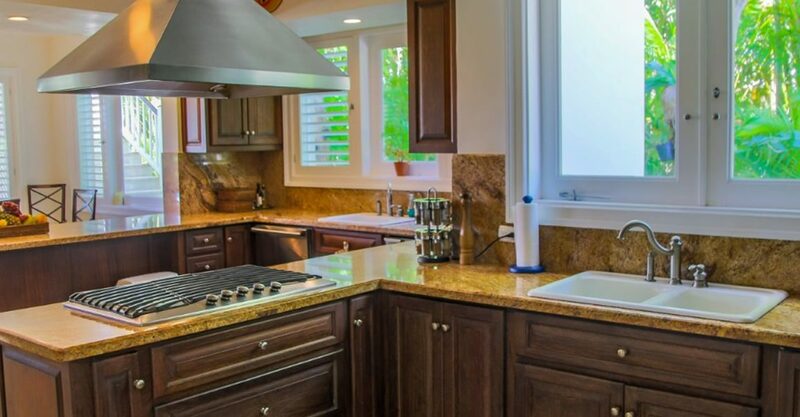 With all this and more, this home represents a prime opportunity to invest in Punta Cana real estate. 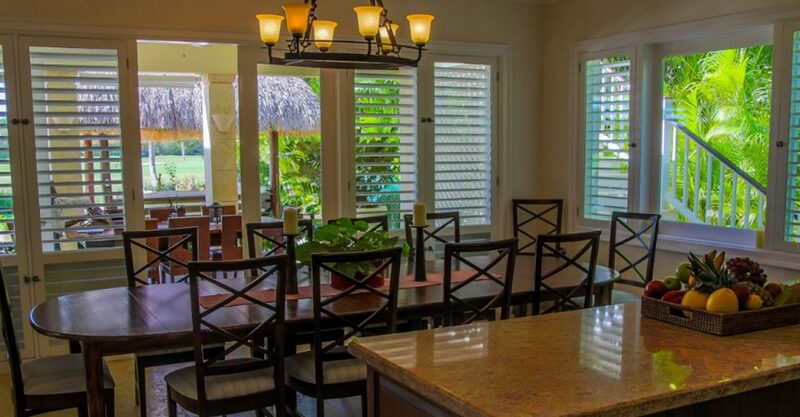 Conveniently located just a few minutes from Punta Cana International Airport, villas for sale in Punta Cana offer privacy, accessibility and a range of features to keep you, your family and guests entertained in the most popular destination in the Dominican Republic. 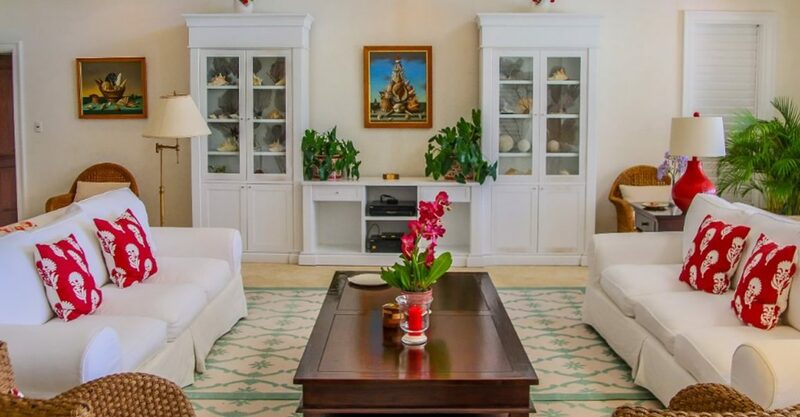 Sophisticated real estate market offering high quality property for sale and excellent value for money for prime beachfront homes. 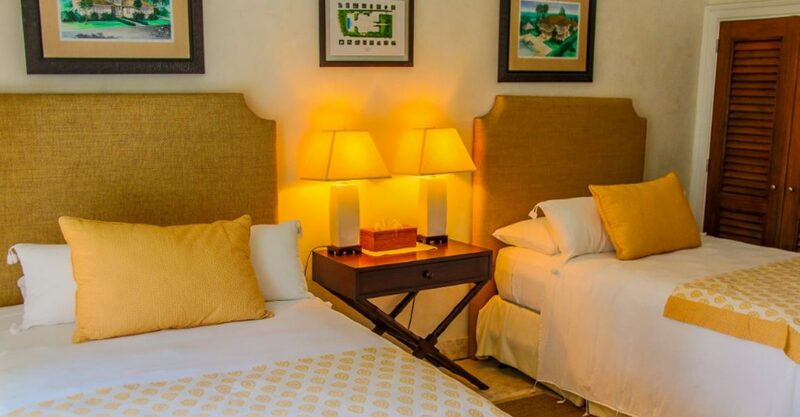 Very high rental income generating potential as the Caribbean's most visited tourism destination - the Dominican Republic recorded over 6.5 million visitors in 2018. Highly accessible destination welcoming 70+ flights per day from the USA and Europe and excellent air links with the Caribbean and South America.